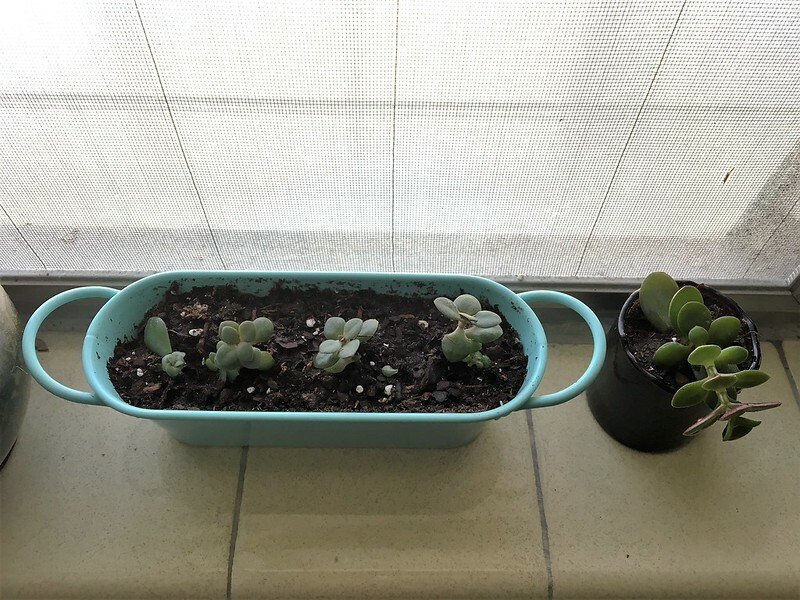 Today was a day for gardening (among other chores). 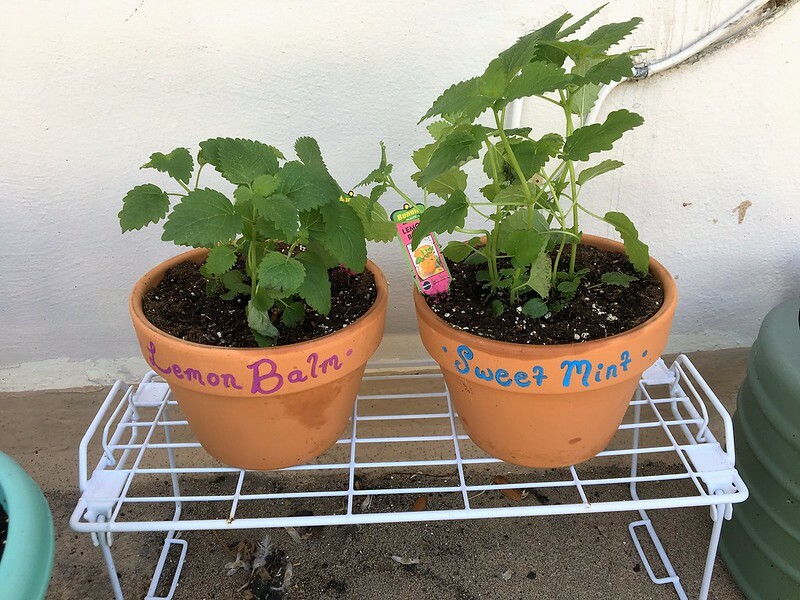 You will note that the pot on the right reads “sweet mint”… it is not. I intended to buy sweet mint, and somehow came home with two lemon balms. Oh well. There will be lots of tea. 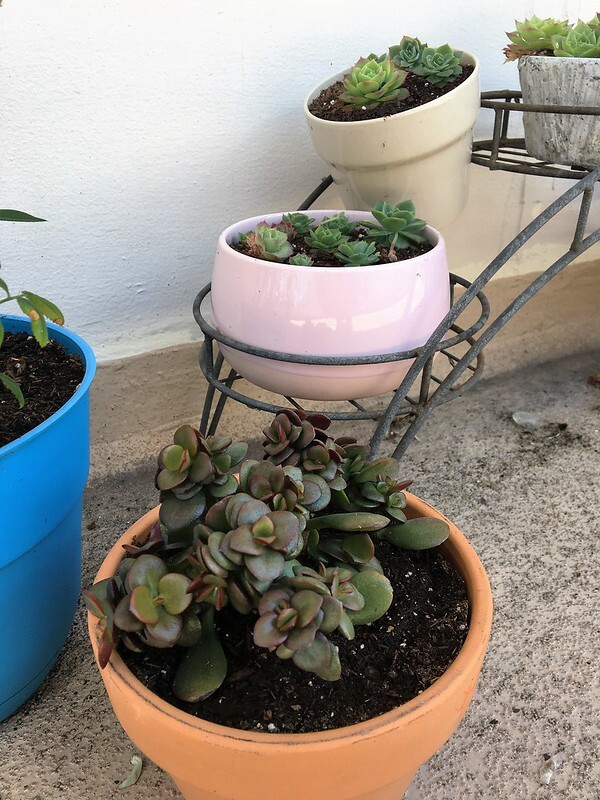 Repotted my jade plant (hoping it will continue to thrive), and spread some of the succulents around. It’s a riot of green!